OUR VISION: For each neonatal caregiver to understand the tremendous impact they have on the infants and families they serve, and to provide care accordingly. Our portfolio of instructional Videos increase the knowledge and skill of healthcare providers, while giving parents an enhanced understanding, ability, and ease in caring for their infant. Videos are available in both English & Spanish for parents and all videos can be purchased as DVDs or licensed for hospital intranet viewing! 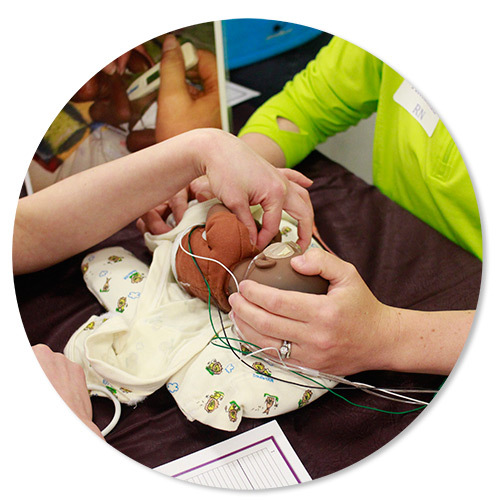 NTMC is an exclusively neonatal, one-of-a-kind certification for neonatal healthcare providers. It combines a holistic, neonatal and systems theory approach to massage, with an emphasis on families and nurturing opportunities, while elevating the standard of care that neonatal caregivers provide in their daily practice. Creative Therapy Consultants provides innovative educational opportunities both on-line and in person. 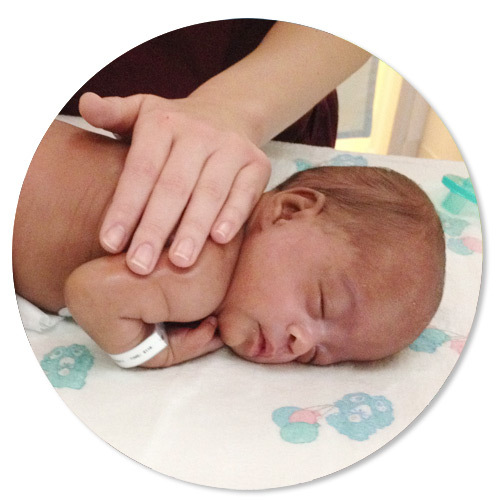 Participants are able to change practice and implement new techniques immediately upon returning to their NICU. Best of all, the programs can be completely customized to meet your NICU’s needs! We have been busy the last few months providing professional credentials to 57 neonatal professionals and are heading to North Carolina for another 44 nurses and therapists to join our Neonatal Touch & Massage Certification (NTMC) Family! Be sure and check out our schedule, April 8th is the next registration opening date and classes are filling up fast! We are excited to be presenting at NANT9 this year as well as exhibiting for both NTMC and CTC. Be sure and visit us at our booth to receive a gift including a flashdrive with valuable resources along with a chance to win a raffle for 50% off NTMC or NOLE! Thank you again for helping us live our mission to improve the lives of babies and families through excellent neonatal caregiver education and skill development. 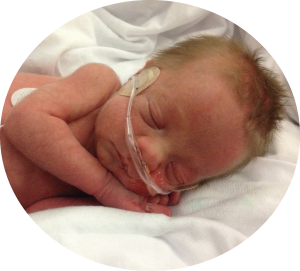 Learn more how you can organize a customized program for your NICU Here. We are so excited for all of the new neonatal professionals we are adding to our NTMC Family in just 5 weeks! The Hands-On Training in Boston was great and so exciting to be surrounded by such a passionate group of NICU RNs, OTs, PTs, and SLPs. We cannot wait to meet everyone in Oklahoma and Colorado! Be sure to check out more details about our last Certification in 2018 in LaCrosse, WI and all of the fun places we’re heading in 2019 like Florida, California, and Illinois. Applications for all 2019 locations are open now! Apply and Learn more here! We recently had the pleasure of visiting The Women’s Hospital in Newburgh, IN for the second time to provide a customized program for 45 neonatal nurses, therapists, RTs and neonatologists. This program was designed specifically for their hospital and included the Neonatal On-Line Education (NOLE), which consists of 8 on-line webinars ranging from brain and sensory development to pain in the NICU. Following NOLE staff attended a 4 hour training focused on handling, positioning, and skin-to-skin holding with a lab component focused on hands-on skill development. Revisiting The Women’s Hospital to provide this program ensures their staff continue to have the most current knowledge and hands-on skills for optimal neuroprotective, family-centered, developmental care. Learn more about how you can create a customized program for your unit HERE! Creative Therapy Consultants had the pleasure of visiting Sweedish Medical Center to complete our THIRD Neonatal Touch & Massage Certification in Washington since 2014. As always, Washington was full of passionate and influential nurses and therapists ready to enhance the neuroprotective care provided in their units. And of course, visiting California to provide two Infant-Driven Feeding: From Foundation to Implementation programs was wonderful. Check out where else you can find Creative Therapy Consultants for the rest of 2018 here!